What happens when a Canadian troubadour and a German singer/songwriter decide to become musical partners? This album, which is bathed in absolute beauty, proves that the result is a great partnership. Wonderful melodies, handsome vocal harmonies and sublime instrumental interpretations make this album an absolute hit. 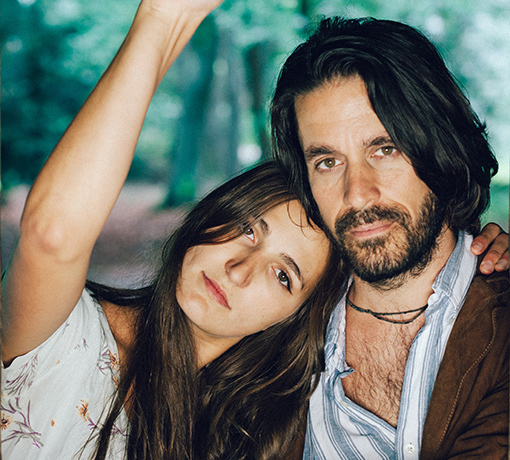 David Celia is a wizard on guitar alongside Marla's lush, sometimes husky vocals. David has four self-produced solo albums and tours frequently across Canada & throughout Europe (including memorable appearances at Glastonbury Festival). He has been touted as "one of Toronto's best guitarists" by CBC Radio and has been featured frequently on the BBC in the UK. He's also been a sideman to artists such as Emili?ana Torrini, Andy Kim (The Archies) and Ian & Sylvia Tyson. He produced Marla's debut album Madawaska Valley in 2015 (Melting Pot Music/Rough Trade) and the single "In The Wind" acquired over 1.2 million plays on Spotify. "A little discovery" ~ Rolling Stone.